For private and corporate inquiries you can phone us here in Chiang Rai on (66) 0954521974 and speak to a member of our ‘Bookings’ Team. or phone us here in Chiang Rai on (66) 0947036268 and speak to Mr Tom. 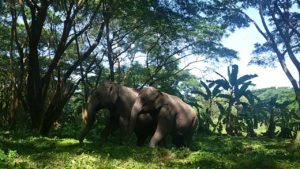 or phone Jack here in Chiang Rai on (66) 0941450730 and speak to the man himself about all very animals that have rather long noses and an insatiable appetite for bananas. or phone Mai here in Chiang Rai on (66) 0955 362 24 69 and speak to her about admin and finance related matters.